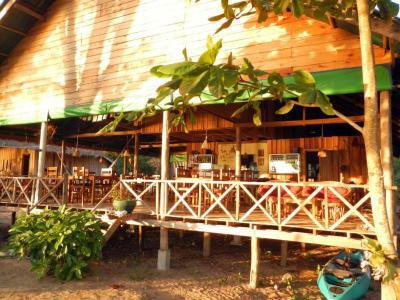 Lock in a great price for Koh Thmei Resort – rated 8.5 by recent guests! Food is tasty but a little pricey and as the only food available, your tied into buying your three meals a day there. Helpful with information on getting there, booked taxi both ways for us. Wonderfully secluded which enabled us to get away from it all. Friendly staff. The food was lovely. 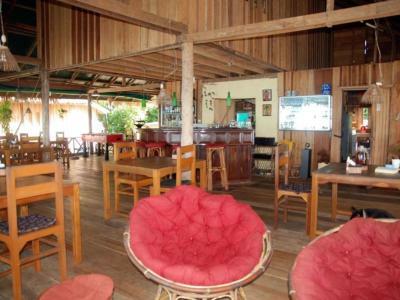 It is a relaxing place, service and the German owners are very nice and helpful. food is great. The environment was amazing and the food delicious, the owners were really kind and helpfull. The island is a paradise on earth....to wake up and have the possibility to swim in the sea is priceless. Natural setting, rustic qualities & good food. Good swimming . Interesting journey to get there. A chance to really wind down as chill time is your only "activity". The food is a highlight. 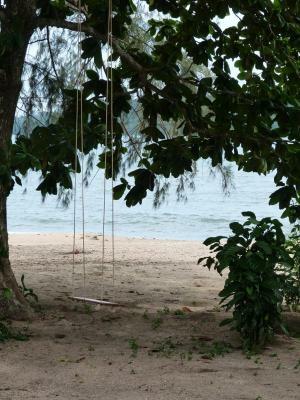 Located in Phumĭ Kâng Kéng, Koh Thmei Resort provides a private beach area and garden. Offering a restaurant, the property also has a bar. Staff on site can arrange airport transportation. At the resort, rooms contain a terrace with a sea view. The private bathroom is equipped with a shower. 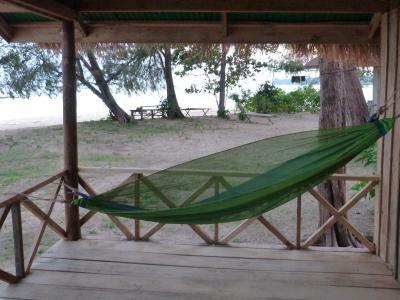 At Koh Thmei Resort, rooms have a seating area. Continental and vegetarian breakfast options are available daily at the accommodation. 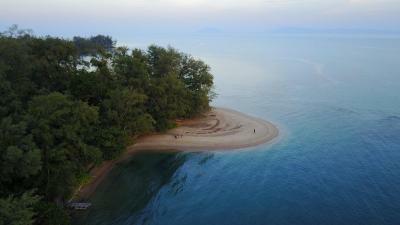 Sihanoukville is 22 miles from Koh Thmei Resort. 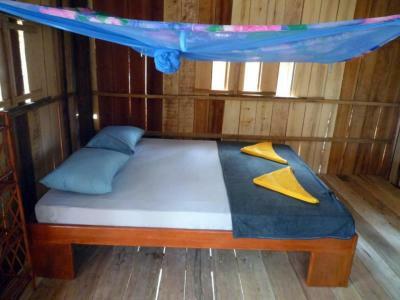 The nearest airport is Sihanoukville International Airport, 11 miles from the resort. This property also has one of the top-rated locations in Phumĭ Kâng Kéng! Guests are happier about it compared to other properties in the area. This property is also rated for the best value in Phumĭ Kâng Kéng! Guests are getting more for their money when compared to other properties in this city. 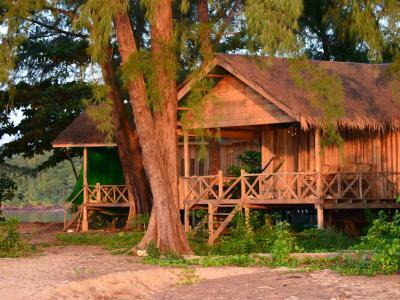 When would you like to stay at Koh Thmei Resort? 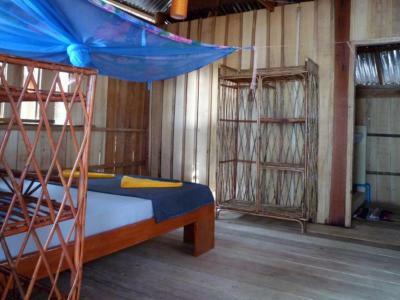 House Rules Koh Thmei Resort takes special requests – add in the next step! Everything is described in the description of the hotel. 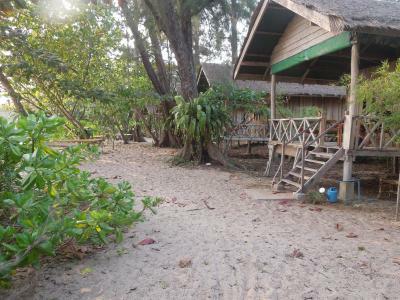 We had planed 2 full days and 3 nights in the calm resort isolated on an island to rest after our hectic days in Siem Riep. It was a success. First of all we really appreciated that the resort had its dedicated boat. It waited for us for more than two hours because of our delayed plane (We would have missed the boat and the night for the other main islands). Kavita and Michael (and their staff) are very welcoming. The resort was perfect : an authentic haven of peace and nature.... No loud music at night just the sounds of exotic birds. 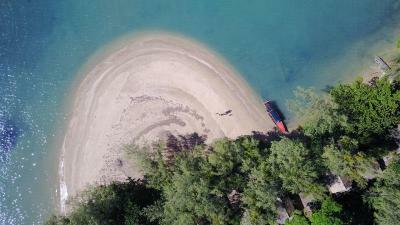 The beach was cleaned every morning by the staff and two volunteers. 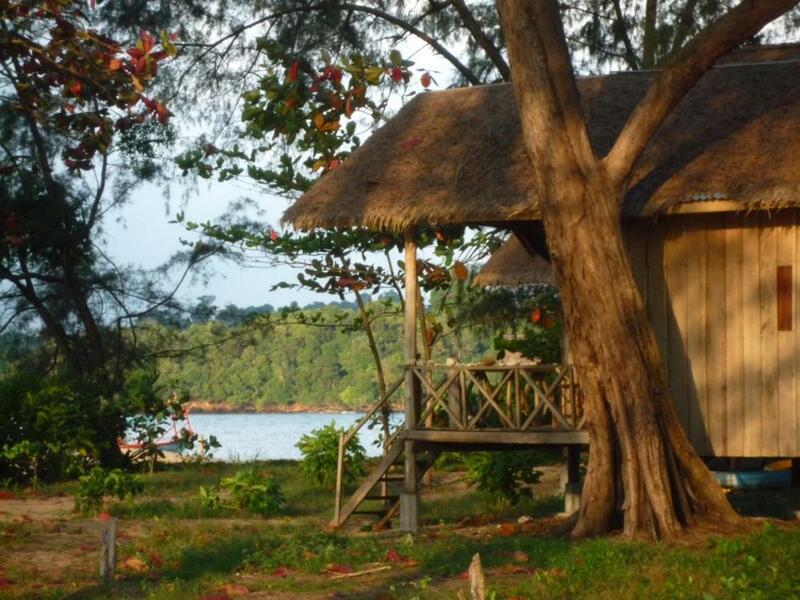 Our rustic cabin was facing the beach with just a thin and beautiful screen of bushes and trees. Cabins are more solid and comfortable than in many other places. Electricity was partly produced by sole panels. No plastic bottles here for drinking water, but free refill from big bottles. The running water we had in our hut was pomped from a local well. Yes it was cold water, but we liked the idea of reducing our ecological footprint. Beside, the water of the sea was so warm that we could enjoy a swim before our morning shower. 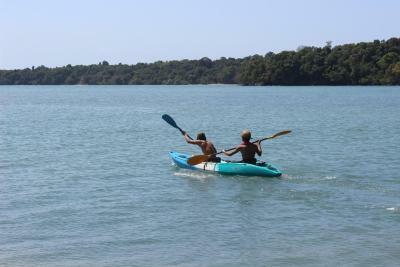 There wasn't much to do but that's precisely why we had looked for : swim in the warm sea; rent the two seat kayak to reach another island ; short path to explore the forest nearby. There is a large place to take a drink or a meal. The food was delicious and it was a pleasure to hear the joyful teem of Cambodian cooks preparing our food. The big room of the restaurant was open to face the sea. We could rest in the comfortable armchair sipping a fruit juice or reading one of the books from the shelves. Our stay was a delight. Here, no mass tourism !! Some previous guests looked for a Seychelles island and seem to have been disappointed, but we found a very nice and quiet Cambodian island included in the Ream national park. Long trip to get there and absolutely nothing to do - which was fine for a day or so. 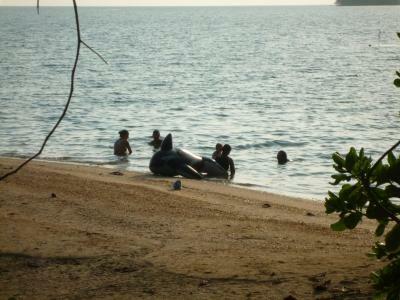 The sea was murky and small beach was awash with plastic (which the staff valiantly cleared every day). There was nowhere to walk. The island and owners had rave reviews but honestly I found the owners stand offish and unwelcoming which was bizarre considering it was their resort and its a business. We were the only people in the resort for the last night and day and we felt like intruders in the bar/restaurant as it sort of doubles as the owners sitting/dining room. Once we arrived we weren't offered much in the way of information, we were told where to swim but when it came to enquiring about the island, walks, animals to be careful of we had to ask. There is no entertainment which is obviously fine but only we had seen another family playing a board game did we know to ask for something else to do before the bar area closed. I just find it strange that people who run a resort don't want to welcome and inform guests about the island, things you can do and places you can see. You have to consider we paid 55 a night with an included set breakfast which is a massive amount of money in comparison to other places to stay in Cambodia. Also your bungalow doesn't get cleaned or new towels offered unless you ask so these people take your money, continually take your money while your there all for a very below standard hospitality experience. 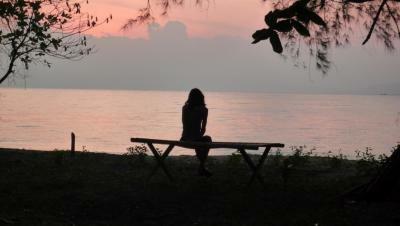 There is also secret costs that are just added in that you can do nothing about. We were informed about travelling to the fishing village and how much various ways would cost and were then told that 'a boat will take you to the island' no mention of it costing 17 dollars between two each way. So an extra 34 you weren't expecting to pay. 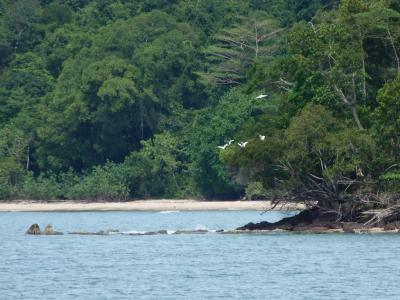 They also use the boat ride to ferry their staff on and off the island depending on if they are needed. Small things like that seem very underhand to me. If you book a room including breakfast, be aware this accommodation will offer you a very small breakfast that will not be enough. We felt forced to order a la carte. Though the a la carte dishes are extremely good, we think they are too small and too expensive. We paid 3,25 US$ for a fresh mixed fruit juice. We found 17 US$ p.p. a bit too expensive for the return boat trip just to be able to stay in the accommodation we booked. At the end the two of us together spent €100,- a night including 3 meals a day, one 2 hour snorkel boattrip and the return boattrip between mainland and island. For snorkeling you need to take a boat to go to the next island. It was probably a bit more basic than anticipated, even though the remote & rustic setting was expected. I refer mainly to bedding as it would be nice to have an extra pillow & a proper sheet. The foam mattresses are hot to sleep on. ( I come from a hot climate & would not have foam based bedding). There was also less access to "National "Park" or walks than desired. The passing fishing boat activity at night was surprisingly noisy. Nothing! We loved everything about it! If you are looking for a true back to nature experience then this is for you. 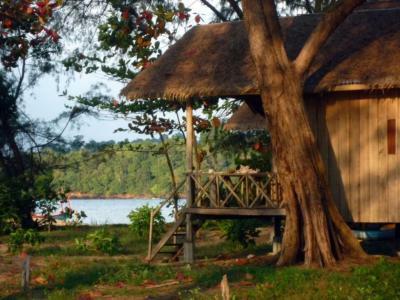 Michael and Kavita the owners have done everything they possible can, given the limitations they have, to provide you with an opportunity to relax, unwind, chill out and enjoy the best that a remote simple beach experience has to offer. It is then up to you if you decide to take up and embrace the opportunity or not! We did and we loved it. Their staff including some fabulous friendly volunteers do everything they can to enhance your stay here and the quality of the food (again given the limitations they have) is excellent. 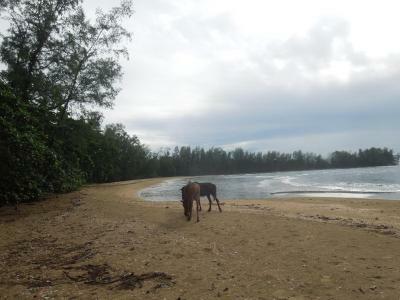 We thoroughly recommend this unspoilt place and we would be delighted to return here again. more extensive access to the national park would have been nice.